Hyderabad, Nov 25 (IANS) BJP President Amit Shah on Sunday said that BJP will not allow Telangana government to implement 12 per cent reservation for minorities. Addressing an election rally at Parkala in Warangal district, he said the Bharatiya Janata Party will neither provide quota on the basis of religion nor allow its implementation by others. He was referring to the resolution passed by Telangana legislature and sent to the Centre, seeking its nod for increasing reservation for Muslims in jobs and education from current four per cent to 12 per cent. Telangana Rashtra Samithi (TRS) President K. Chandrashekhar Rao, during his election speeches, has been targetting Prime Minister Narendra Modi for not giving the nod to hike the quota for Muslims. 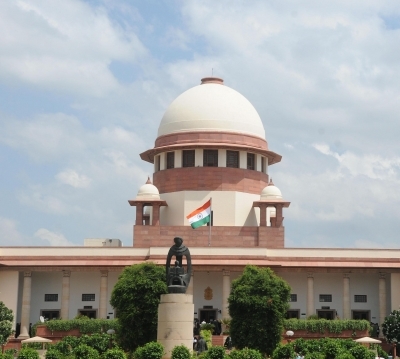 Terming the TRS government's move as "unconstitutional", BJP chief pointed out that the Supreme Court has fixed a ceiling of 50 per cent on the overall quota. He asked the TRS to specify whose quota it proposes to cut to provide reservation to minorities. Shah said his party would stand as a rock to protect the reservation of Scheduled Castes, Scheduled Tribes and backward classes. The BJP national president, who is on a day-long visit to Telangana to address election rallies, claimed that only his party could provide a government in Telangana which would not be dependent on the Majlis-e-Ittehadul Muslimeen (MIM) and its leader Asaduddin Owaisi. He said the December 7 election would decide the future of the state. Shah said TRS chief KCR imposed burden of an additional election by going for early polls to the state Assembly to promote his son and daughter. He alleged that KCR was afraid of Modi's impact if the Assembly polls were to be held along with the Lok Sabha elections in 2019. He claimed that the central government provided over Rs 2.30 lakh crore for the development of Telangana during the last four years. He said half of these funds were allocated under 14th Finance Commission. He said Telangana was a revenue-surplus state but the TRS government imposed a burden of Rs 2 lakh crore loans on the state. He said KCR also failed to implement the promises he made in the previous elections. He said Communists, who were losing ground across the world, and Congress, which was getting wiped out in the country, had come together in Telangana. 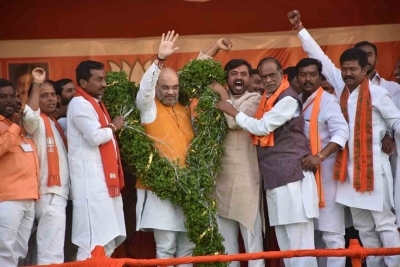 Appealing to people to vote for the BJP, Shah said BJP alone could provide a government which could save Telangana and take it forward on the path of development.